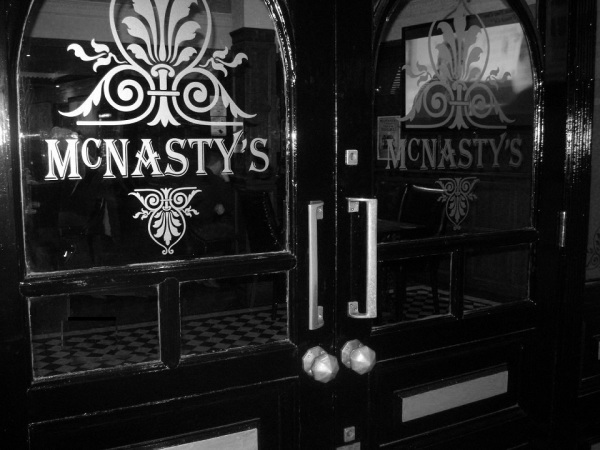 McNasty's offer a Lunch Menu with a variety of meals to suit every taste. Express Lunch is ideal for you. Burgers, Deep Fried Scampi or Chicken Fillets. And be sure to check out our Chef's Daily Special. For your Office Meeting or a Party at Home, let us do the cooking, and order from our Outside Catering Menu (Minimum 6 x People). unrivalled anywhere in the North East of Scotland. 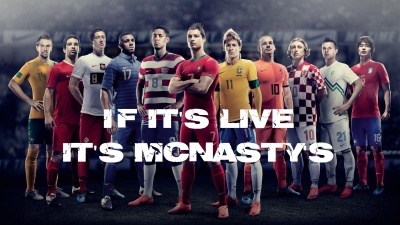 So if there's Football in Falkirk, Racing at Redcar or Rugby at Richmond....you can watch it all Live At McNasty's! But we're not all about Sport!....Our hugely popular Karaoke Nights take place every Friday and Saturday from 9pm 'til Late. Select your song digitally by title or artiste, then take the stage and entertain us. 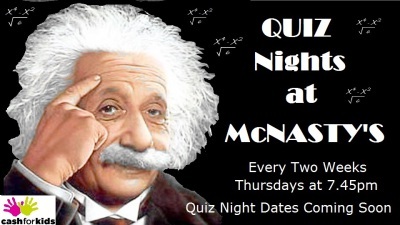 And don't miss the renowned McNasty's Quiz Nights every second Thursday throughout the year. A full list of dates for 2016 will appear on our Events Page. Or how about a friendly game of Darts? 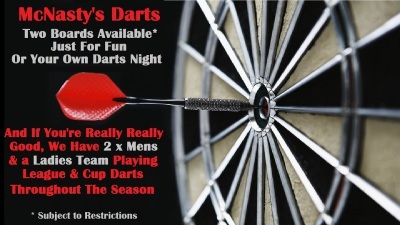 We have two Championship Dartboards available to book for your own Fun Tournament (Buffet Optional), or just pop in for a few games with your mates. (Subject to availability). 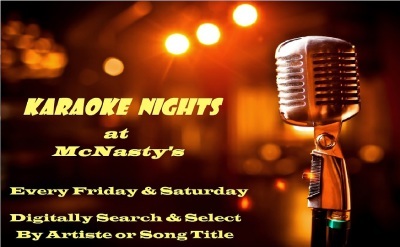 So if you're a sports fan, night person or just want to unwind for an hour or two during the week, at McNasty's, we have something for everyone.....Hope To See You Soon!